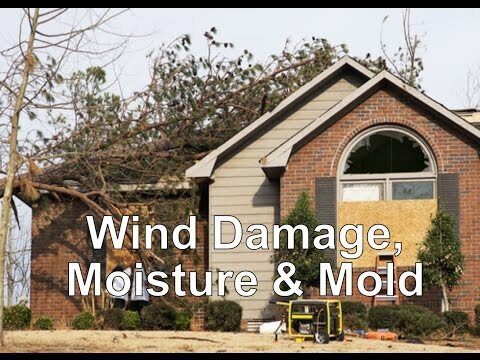 Clark Seif Clark provides testing and consulting services to identify and resolve indoor environmental quality issues associated with wind damage. CSC helps clients identify water damage and we provide comprehensive testing services for mold, lead, asbestos and many other indoor environmental pollutants. Each year, wind damage caused by thunderstorms, microbursts, tornadoes and hurricanes results in billions of dollars in property damage. While it is true that certain regions of the country are more susceptible to high velocity winds than others areas, they can and do occur virtually everywhere. Powerful winds are known to cause everything from cosmetic or structural damage to a property’s complete destruction in extreme circumstances. Even seemingly minor wind damage can result in conditions that allow water to be able to penetrate a building’s envelop and cause damage to building materials and belongings. If not quickly addressed, this moisture can result in the growth of mold in less than 48 hours in many circumstances. In older properties, issues associated with mold and moisture from wind damage are not the only potential indoor environmental exposure concerns. The possible presence of lead-based paints and asbestos-containing materials that are disturbed by the actual damage or during cleanup, demolition and rebuilding activities, can also create exposure risks. Check shingles or roof tiles to make sure they are properly fastened and meet or exceed local building codes. Be sure roof sheathing is properly nailed down and that the connections between the roof and walls will not allow updrafts to damage the roof. Check chimneys, sky lights and roof exhaust pipes to ensure they are sealed and properly secured. The building’s exterior, siding and windows should be sealed and properly secured to prevent wind damage and wind-driven rain from reaching the interior. Ensure any rooftop HVAC units are properly secured. Be sure exterior doors are hinged or braced properly and can withstand strong winds. Trim back trees to prevent damage from broken limbs or uprooted trees. Be sure anything stored outdoors and any outbuildings are properly secured and that fencing is well braced. For commercial properties, check to make sure signage is properly designed, anchored and secured.